Can you believe we're already half way through February? Between starting a new job, working outside the home, and planning a wedding, 2018 has been a blur so far. And to top it all off, G and I just celebrating my birthday / Valentine's Day / our 5-year anniversary—yes, they all fall within two days of each other. My life has been packed full of commuting, work obligations, birthday parties, meeting with vendors, and (yay!) wedding dress shopping. Pampering myself in little ways has helped keep me sane this winter. 1. Head to the salon. I'd put it off too long, but I finally got myself in for a fresh cut and color. (I know it's time for a salon appointment when I start wearing my hair in a bun everyday... and that had been going on for weeks.) There's just something so relaxing about having someone else color, wash, cut, and style your hair. And it's a such a refreshing feeling to look in the mirror and have a new 'do. 2. 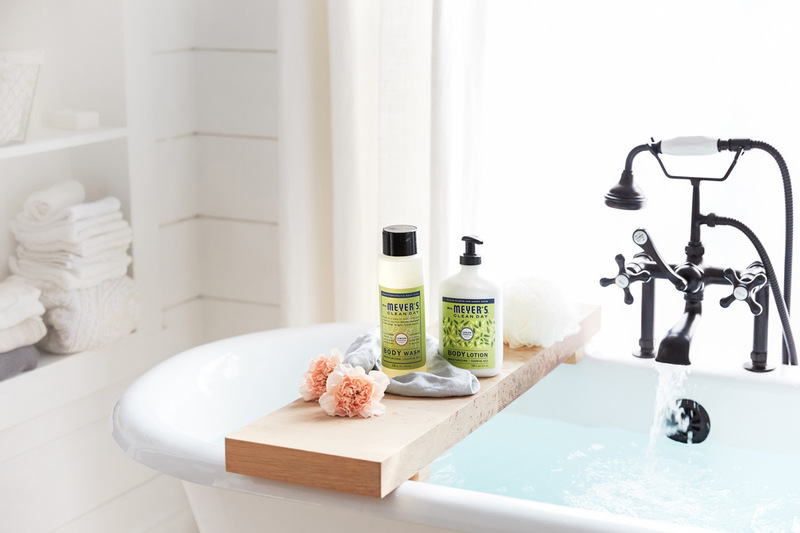 Upgrade your shower/bath routine. I really miss the gorgeous, antique claw-foot bathtub I had in my apartment four years ago. Best baths ever. And while I no longer have that luxury, that's no excuse not to make the most of my showers. I've made it a point to slow down and enjoy showers rather than rush around in the morning or take quickies at night. Mrs. Meyers helps me do just that. I've been using Mrs. Meyer's honeysuckle body wash, hand lotion, and bar soap for about a year now. I love the fragrance, especially in the winter. It's reminiscent of summer afternoons and a lovely little bottle of fancy honeysuckle perfume my grandma gave me when I was little. 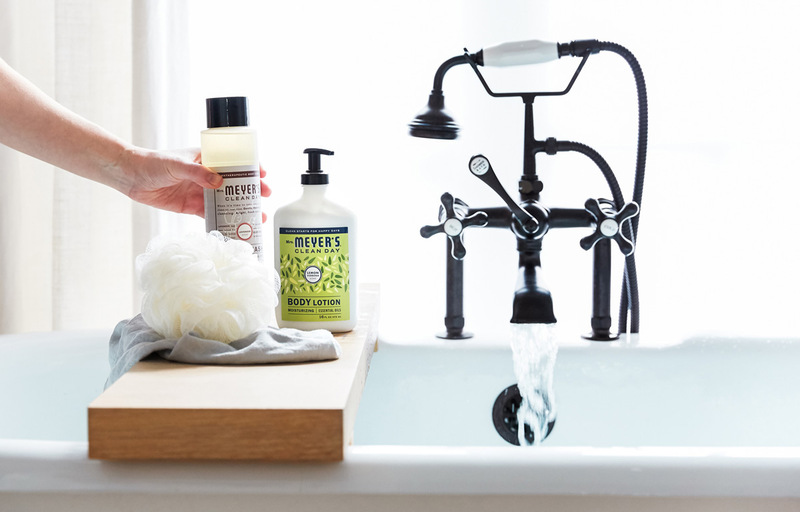 Now, Mrs. Meyer's has rolled out the body lotion. I'm delighted—and so is my dry, flaky winter skin, which now feels soft and smells like summertime. 3. Swipe on some bright lipstick. I've been experimenting with different reds and berries lately to see which lip color I want to wear on my wedding day. I'd forgotten how just a little bit of bold lipstick can boost your confidence and make you feel more pulled together. 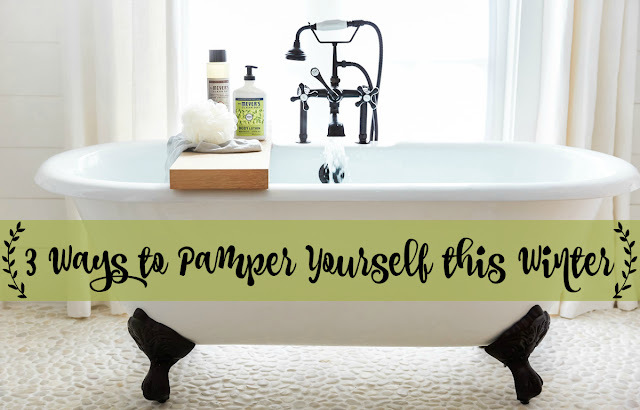 There you have it: salon, smell-good shower, and some bright lips... my three favorite ways to feel like a lady amid frigid Iowa winters and hectic schedules. But don't stop there. Grove Collaborative is stocked with some awesome products to pamper yourself this winter—from the Burt's Bees gloss lip crayons to Acure Organics to Mrs. Meyer's products for your house and your body. You’ll get the above pictured set (body wash + body lotion + loofah) FREE with your first order of $20. 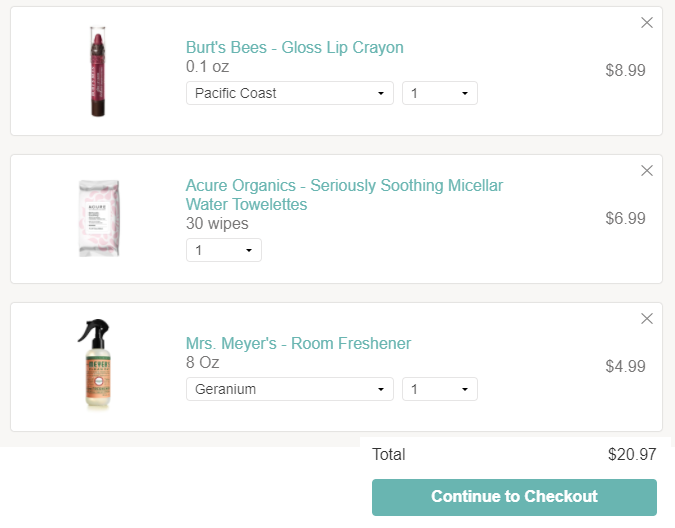 You’ll get all those products + Mrs. Meyer’s body wash and body lotion + Grove loofah for around $20! Plus, you’ll get free shipping and a free 60 day VIP trial. Grove really pampers their VIPs, from free shipping to free gifts, price matching, exclusive sales, and personal service. I love the customer service and free shipping that I get as a VIP. This offer is only available until February 18, so don’t miss out! Sign up for Grove Collaborative here. You will receive the personal care kit for free when you sign up! Typically, house inspectors are early. If you want to improve your knowledge just keep visiting this site and be updated with the hottest news posted here. Será que não pode ser alguma att? Ao recebê-lo, leia- em frente à pessoa que lhe deu. data, that's genuinely good, keep up writing. :) I care for such information much. I was seeking this certain info for a very long time. I'm hoping to give something again and help others like you aided me.